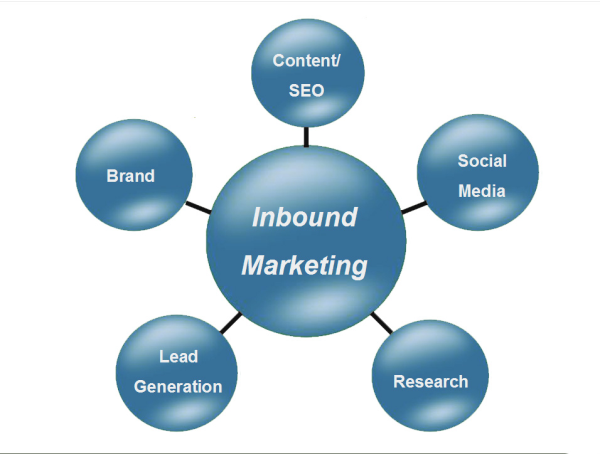 Six inbound marketing practices you should know! Create strong blog posts: Blogging is the most critical aspect of inbound marketing. It gives an identity to your brand, plays a major role in attracting your target visitors and transform them into loyal customers. Furthermore, the process requires a successful implementation of search engine optimization techniques to push your website to rank high in search results. Also, highlight your presence on different social media channels to allow your customers to engage with your brand and share their favorites. Decrease costs: The power of online marketing has replaced other forms of marketing such as direct mail and cold calling which are costly to your business and requires production, media and labor. Thus, exploit the best techniques of using internet marketing, save money and generate greater return on investment. Optimize call to actions and landing pages: It is highly recommended to build an eye catching web page in order to generate leads. To do so, you should accomplish all the essential criteria that lead to create appealing landing pages to your customers that entice them to make further actions on your website. For example, A/B or multivariate testing theories are very suitable to use if you consider improving your landing pages. In addition, display strong and appealing call to action requests among the various pages and contents of your website may stimulate the process of boosting your customers click through rates (CTR) and generate leads. Lead nurture funnel campaigns: Once you position successful call to actions,you are following the right path of converting your target visitors into sales leads, but that is not all the case; you have to segment these acquired customers to determine the need of every guest and create a funnel process so each one will be dealt with uniquely from the other one. That way you are focusing your marketing efforts on every customer accurately and get rid of chaos that might disturb your audience and increase bounce rates. Practice both on-site and off-site SEO: One major thing you should know is to practice both on-site and off-site search engine optimization. While the on-site optimization is essential for new website aiming to obtain primary existence on search engines, the second one is also important for building backlinks. In the first one, you should focus on creating a strong blog post, with clear meta titles and meta descriptions, submit an XML sitemap because it lists all your URL links. This is very practical each time you create and post a new blog on your website so it will get automatically picked up by the spiders, thus appears in search engines results. As for the second, off-site SEO is obtained through careful guest blogging, press releases, directory listings and content marketing. Tracking and analysis: In order to determine the return on investment for your inbound marketing practices, you have to track and evaluate your marketing performance. If you find out undesired results, try to determine where mistakes originate from, therefore you will learn how to plan for the future. Google analytics is the best tool to use, through which you will be able to track your customers acquisition through blogging and social media and determine conversion rates.